A interesting research project to learn more about TV habits of Kurdish speakers in Turkey. Who watches which channels? See link below for survey. Eger hûn li Tirkîyeyê dijîn û di televizyonê de li bernameyên Kurdî temaşe dikin, ji kereme xwe vê lêpirsînê bersiv bidin. Gelek spas. Eğer Türkiye’de yaşıyor ve Kürtçe televizyon programlarını izliyorsanız, lütfen birkaç dakikanızı ayırıp bu anketi tamamlar mısınız? Teşekkürler. If you live in Turkey and watch Kurdish-language television programming, please take a few minutes to complete this survey. Thank you. From ActuKurde: Kurdish children are now educated in their mother tongue in Kurdish regions of Syria. February 3, 2012, a young Kurdish teacher teaches in a school Dêrik (al-Malikiyah, in Arabic). Mother-tongue education has changed considerably. The creation of the Association of Kurdish has played a part in these advances. In a few months, more than 100 schools were opened throughout Western Kurdistan and a thousand teachers have been trained. I remember it as though it happened yesterday. His moments of excitement were known only when his ancient radio would release an unclear sound in Kurdish! 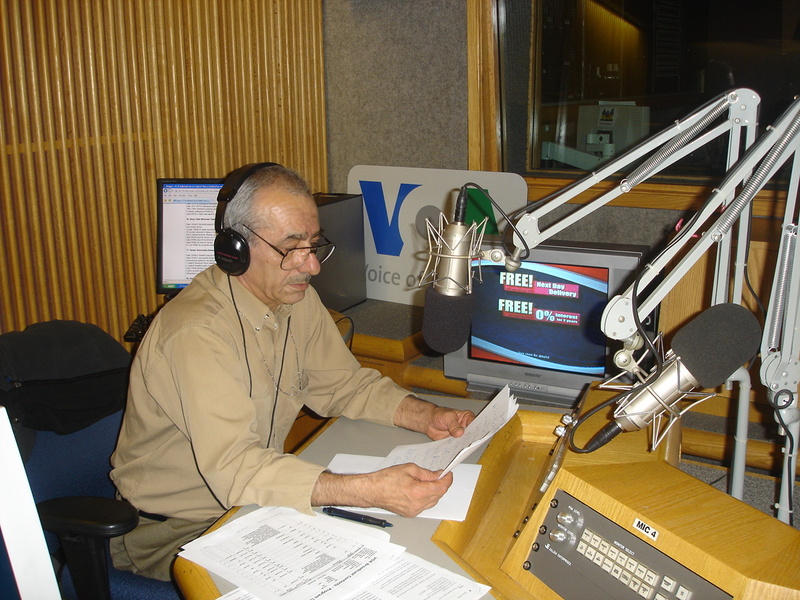 My father was complaining about the bad quality of the Kurdish broadcast of Voice of America (VOA). He would fearlessly curse the Syrian government for jamming the only Kurdish news outlet we were getting at the time. But when the deep, manly voice would come out of the radio, the whole household had to be in dead silence. “Hush, Khalaf is starting!” my father would announce. This is how I first came to know of Khalaf Zebari, one of the most prominent radio broadcasters in the history of Kurdish journalism. I visited him at his house last month. He lives, along with his small family, in Springfield, Virginia. He retired from VOA earlier this year after his health deteriorated. While he runs down to the basement, his son tells me he still smokes two packs of cigarettes every day. Doctors have already warned him about the danger of smoking but Khalaf remains an avid smoker. Born in 1948 in Zebar region of Iraqi Kurdistan, Khalaf grew up loving nature. You can easily tell that from the various types of trees he has in his backyard. Nature drove Khalaf to poetry at an early age. Who doesn’t know about “Nesrin”? He wrote the famous poem in 1967. Eight years later, Mihemed Şêxo, a legend of Kurdish music made Nesrin into a song. Ever since, the song has become a symbol of love among all Kurds. He brings me an album that only has old pictures from back home. He tells me about the story of each picture with precise details. His memory functions outstandingly when to comes to the old days. While checking out the photos, he also narrates his years in Mosul, where his studied economics and met “Nesrin”, the girl whom he wrote about in his most known poem. In 1974, Sabri Botani, another Kurdish poet, called Khalaf to ask him to work for Voice of Kurdistan radio (Dengê Kurdistan). In April 1974 the Voice of Kurdistan broadcast its first program in Kurdish to become a mouthpiece of the Kurdish revolution in Iraqi Kurdistan. Khalaf says the radio was functioning underground. But the broadcast didn’t last for long. In March 1975 the Algiers Agreement was signed between Saddam Hussein and the Shah of Iran. The infamous agreement ended the Kurdish revolution, and with that, the Kurdish dream of freedom was postponed. Consequently, the Voice of Kurdistan team, including Khalaf Zebari, fled the country to Iran. After staying two years as a refugee in Iran, Zebari finally made it to the US in 1977. In America, Nashville, TN was his first stop. In 1992, the US Congress decided to a Kurdish Service at Voice of America. The VOA’s first show in Kurdish was aired from its headquarters in Washington D.C. on April 26, 1992. Khalaf Zebari and Homer Diyezi were the first anchors in the Kurdish service. In the beginning, they only had 15 minutes. 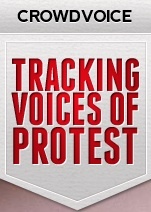 Presently, VOA broadcasts three hours daily, one of them is also aired on TV. Shortly after its 20th anniversary, Khalaf announced his retirement. I ask him what he has given and gained in these 20 years of experience. He says he has met great people from different parts of Kurdistan, shed light on unrepresented Kurds, especially those in Armenia, Azerbaijan, and Lebanon and even in Syria and Turkey, and learned so much about the world. But these long years didn’t take Khalaf Zebari away from poetry. On the contrary, being away from back home pushed him to write extensively about his beloved Kurdistan. His poetry collection Lion’s Den (Warê Şêran in Kurdish) was published in 1999 in Stockholm, Sweden. He also has enormous numbers of unpublished poems. These too will one day find their ways to a publishing house. Perhaps the most striking characteristic of all of this living legend is after living in the United States for 35 years, Khalaf’s heart still leaps from his chest when he hears the word Kurdistan. *Republished here at the request of the original author. This article originally appeared in the November 2012 issue of The Kurdish Review. Hundreds are on hunger strike (some of them since 12 September) in prisons across Turkey. Lawyers told Amnesty International that prison authorities have denied many hunger strikers access to medical care, further threatening their health. On 12 September, around 60 prisoners began a hunger strike in seven prisons across Turkey. The hunger strikes were initiated as a protest against the authorities’ longstanding refusal to allow Kurdistan Workers’ Party (PKK) leader Abdullah Öcalan to meet with his lawyers and to demand the provision of education in the Kurdish language. Since September, the number of hunger strikes has grown. According to the Ministry of Justice, 682 prisoners in 67 prisons had joined the hunger strike by 2 November. Lawyers representing the hunger strikers told Amnesty International that prison doctors are routinely refusing to conduct medical examinations of the hunger strikers, including checking the prisoners’ blood pressure. Lawyers also said that in some cases, hunger strikers are being denied access to vital vitamins taken to the prison by the lawyers. One prisoner on hunger strike in Sincan F-type prison was allegedly made to travel 36 hours for a court hearing, despite severe mobility problems and a doctor’s report advising against the travel. There are further concerns regarding reports that prisoners on hunger strike in Silivri and Şakran prisons have been placed in solitary confinement, and guards at Tekirdağ prison were ill-treating prisoners as a result of their participation in the hunger strike protests. Calling on the authorities to ensure that no punitive measures are taken against prisoners on hunger strike and the absolute prohibition of torture and other forms of ill-treatment is upheld; and to institute a prompt, thorough, impartial and effective investigations into allegations that prisoners in Silivri, Şakran and Tekirdağ prison were ill- treated or otherwise punished for their participation in the hunger strikes. In Turkey, prison hunger strikes have been repeatedly used as a method of protest. On 20 October 2000, more than 1,200 prisoners went on hunger strike; this was in protest at plans to move them to new prisons where they were to be housed in small cells, rather than dormitories that hold up to 60 prisoners. Prisoners were concerned that they would be at greater risk of assault or torture. When raids began on 19 December, some 200 were still on hunger strike and many of them were reportedly close to death. Turkish authorities intervened by force to end the hunger strikes with the operation they termed “return to life”. This operation led to the deaths of 30 prisoners and two soldiers during raids into 20 prisons. The Justice Minister reportedly stated that “at least 16 prisoners died, most of whom set themselves on fire”. He did not say how the other prisoners had died. Hunger strikes continued in the following two years, claiming the lives of dozens of people – some of whom were not prisoners. Amnesty International does not support hunger strikes, nor does it try to persuade hunger strikers to end such a protest. The organization opposes any punishment of hunger strikers and attempts to coerce them to end their hunger strike. Such measures violate their right to freedom of expression, and may also amount to cruel, inhuman or degrading treatment or punishment. The authorities have an obligation to ensure prisoners’ right to life and health and must ensure that hunger strikers, like other prisoners, have adequate access to qualified health professionals and any medical assessment, advice and any treatment that they will accept voluntarily based on this assessment. It’s coming up later this month. The one year anniversary of #TwitterKurds!! Never heard of it? 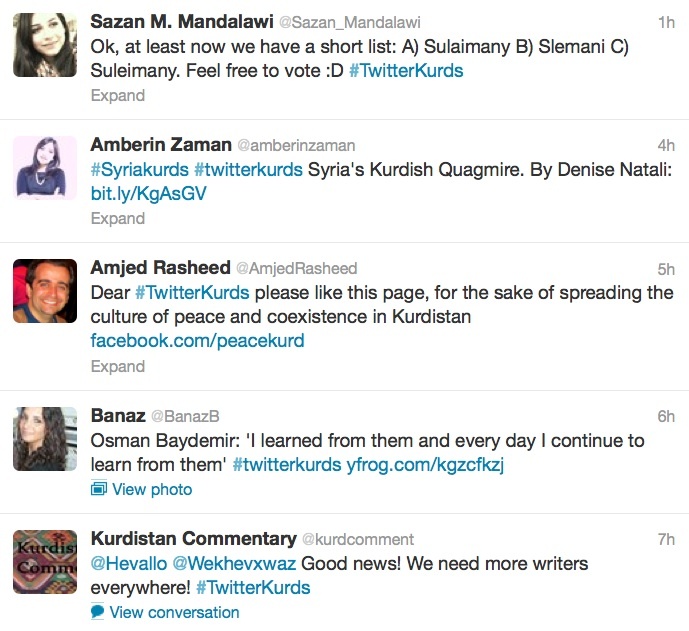 It’s a campaign on Twitter to raise awareness of Kurdish issues. It’s for anyone who wants to give voice to the Kurdish struggle for freedom of expression, freedom to be Kurdish, and freedom to speak Kurdish. It is a movement to raise awareness of human rights abuses perpetrated against the Kurdish peoples of the Middle East. It is a powerful social media tool to overcome media bias and spread the truth. #TwitterKurds has even been mentioned on Al Jazeera’s The Stream. It is a force to be reckoned with! In honour of #TwitterKurds‘ first anniversary, there will be a mass tweet campaign to raise global awareness of the issues in all parts of Kurdistan. Join us on 25th May from 10 to 10GMT. Want to learn more? Go to Twitter. Follow #TwitterKurds for more information. 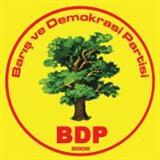 You can also join the #TwitterKurds FB page!